As much as I’m into nails, nothing will kill my passion for red lips. 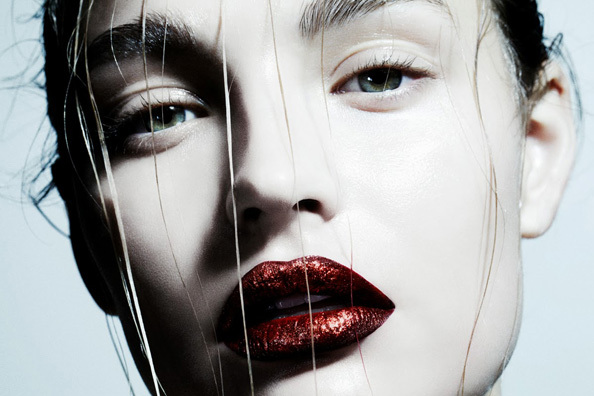 Plus, festive season is the perfect opportunity to rock that red lip like never before. There are so many fabulous new lipsticks on the market making it easy to taking red lips makeup to a whole new level. 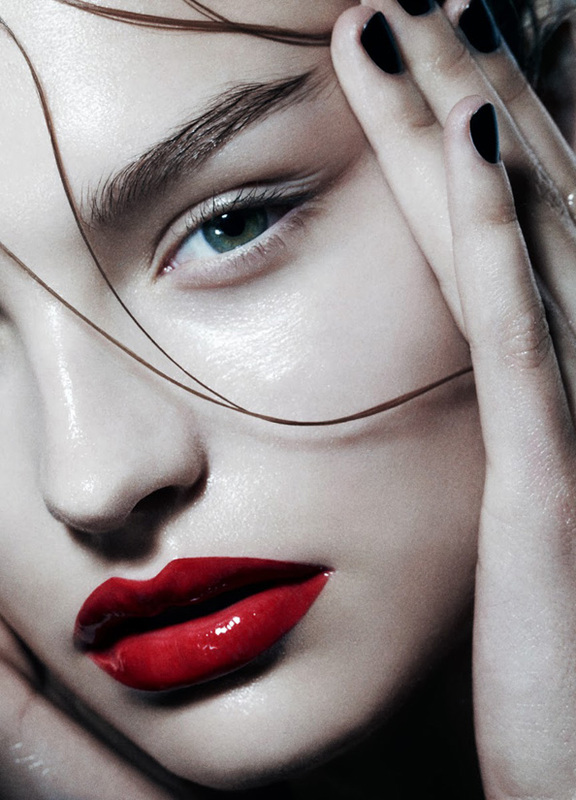 Forget mascara and heavy powder, the new way of wearing red lip is leaving your face undone with dewy, glowing skin and minimal eye makeup. That will really allow your red lips to play the leading role. 1. Shimmering matte (the very first image) – Stila Magnificent Metals Foil. To achieve the shimmering matte lips effect simply apply shimmering eyeshadow or pigment over the usual red lipstick. 2. Super moist vinyl like glossy lips – Dior Addict Rouge Defendu or Sisley Phyto Lip Gloss Rouge. To get this look, first, apply lip gloss and then add definition with a matching lip pencil. 3. 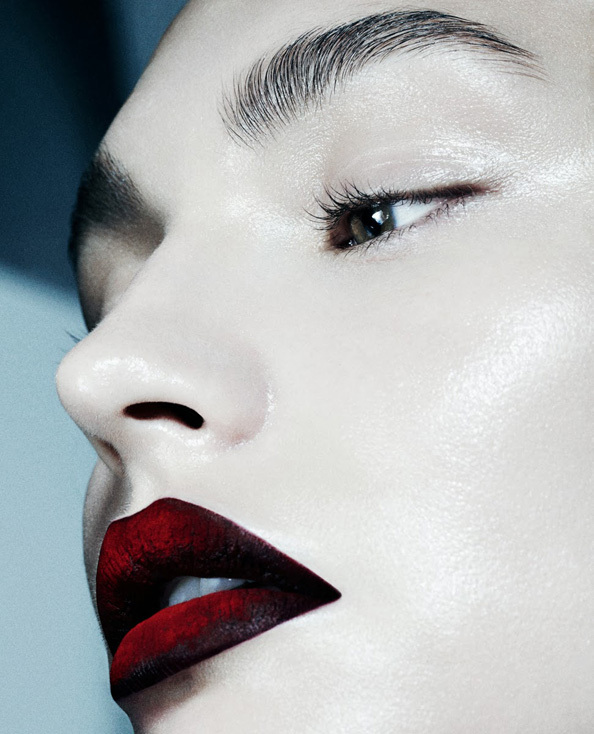 Ombre matte red lips – Chanel Rouge Allure Velvet. or Hourglass Opaque Rouge Lipstick. To get this look, circle lips with a dark shade lip pencil, then smudge the lines with a cotton bud to create the subtle ombre effect. Then apply lipstick to the inner part of your lips. the ombre lip is amazing. Great post! Thank you Mirna! Yes, ombre is amazing, indeed. I can’t wait to try it – maybe this weekend? !